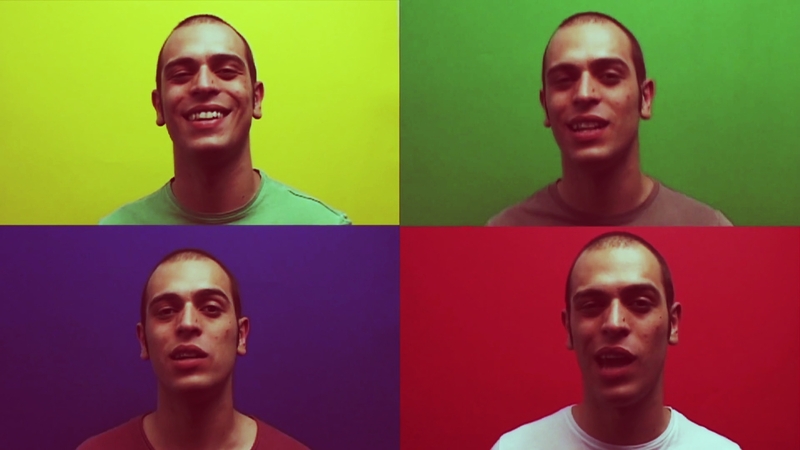 Simone Vignola (Avellino, 16.09.1987) is an Italian singer-songwriter and multi-instrumentalist. After early experience with the dark-rock band Inseedia, in 2008 he begins the solo career. 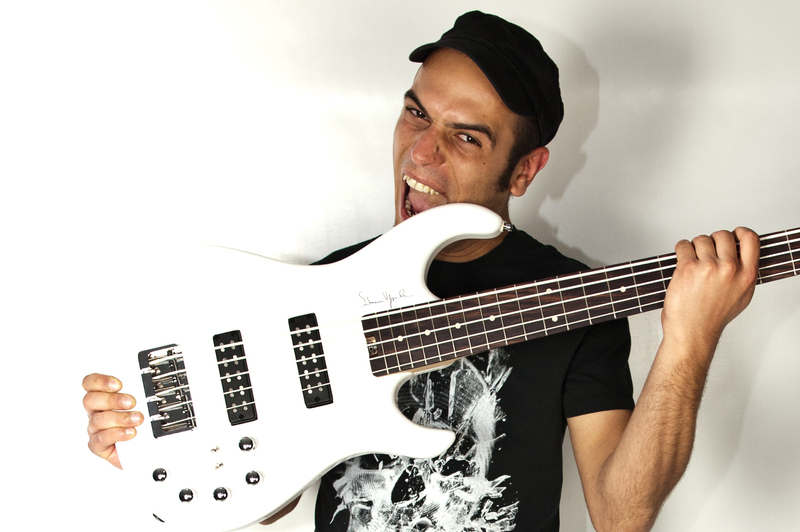 The same year he won the international competition “EuroBassContest 2008“, within the Euro Bass Day event in Verona, drawing the attention of the European electric-bass scene. In 2009 he reaches the first record deal with the Dutch Schoots Records with the release of the single “Love Song” containing three tracks exclusively for digital download. 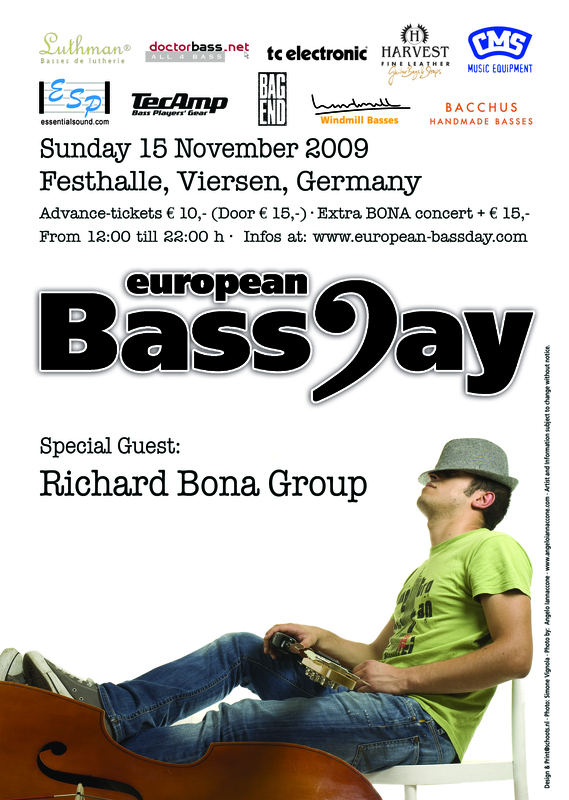 “Love Song” was officially presented at the European BassDay 2009 at the Festhalle of Viersen (Germany) where Vignola performs solo at the opening of “Richard Bona Group“. It ‘also a guest at the “Euro Bass Day 2009” where he opened the concert for “Scott Kinsey Group” as “last edition’s winner”. The video for “Love Song” draws the interest of the worldwide bass-scene and of some of the major brands of musical instruments like TC Electronic, TC Helicon, Windmill, and Essential Harvest Sound, for which he becomes an endorser and demonstrator. 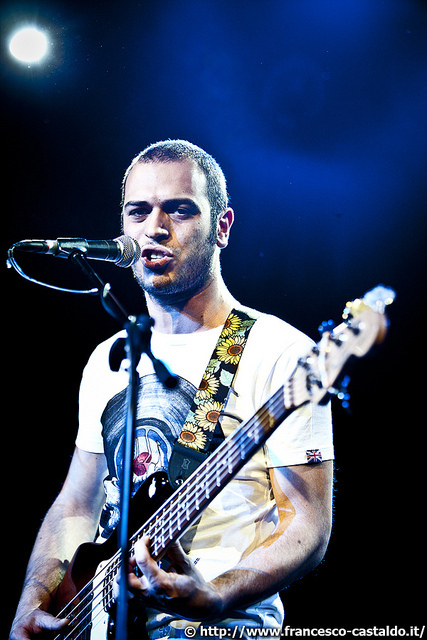 In 2010 he begins the promotion of the “Love Song” EP with the show “Live-Solo-Set“: Simone creates the bases with bass, acoustic guitar and drum machines recorded through the use of a loop-station and then performs his songs playing bass and singing. In July “Going to the Next Level” is released for the first time, in license on Schoots Records, Vignola’s first work. The al bum contains 13 tracks including “Love Song”, in English, written, arranged and performed entirely by the artist. The CD is presented at Kulturfabrik Krefeld (Germany) at the European BassDay 2010. The interest grows also looking at the live side of Vignola’s project and his virtuoso use of loop station which serves the electric bass. 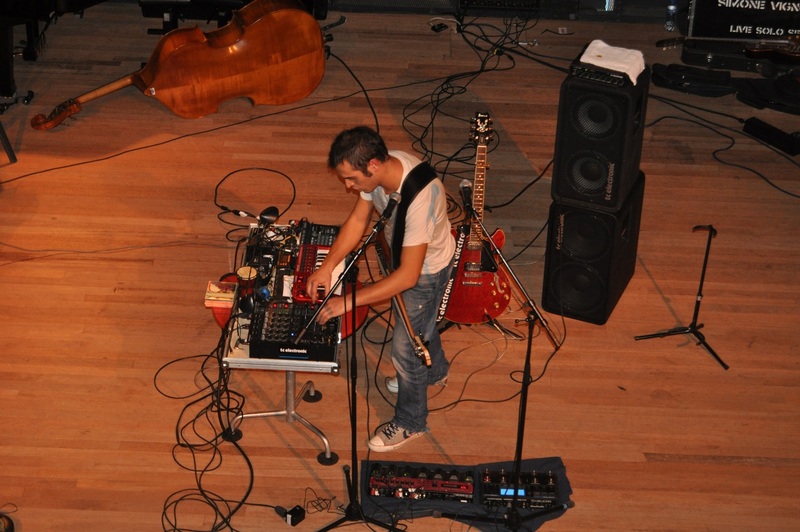 At AmsterBASS, an event held at the Conservatorim van Amsterdam (The Netherlands), the Italian bass player is called upon to present the subjects of his Masterclass “The Art of Looping“. In December Simone wins the “BOSS Loop Contest Italy” winning access to the finals of the “BOSS Loop Station Championship 2010” World Championship organized by “Roland & BOSS“, held in Anaheim (CA, USA) during the NAMM Show 2011. Simone tries to create some interest about his music in Italy with the release of the CD through his brand (Black Cavia Records). The disc is well reviewed in Italy, with the result of a lot of gigs and concerts throughout the country. He is chosen by the well-known booking agency “Barley Arts” as the official opener of the top English band “Level 42” Italian Tour 2011. In 2012 he moved to Rome and partecipates the “Sanremo Social” contest with a song in Italian called “Rossa d’amore”, with a more romantic mood. The same year he placed 2nd at the festival “Arezzo Wave Lazio”. The following summer Simone starts the recordings of “Sulla Luna“, the second work of Vignola, this time sung in Italian, with a more intimate mood, and more science fiction. The album is released by RBL Music Italia, record label based in Roma at the Piper Club, distribuited by Egea Music (physics) and Ossigeno (digital). 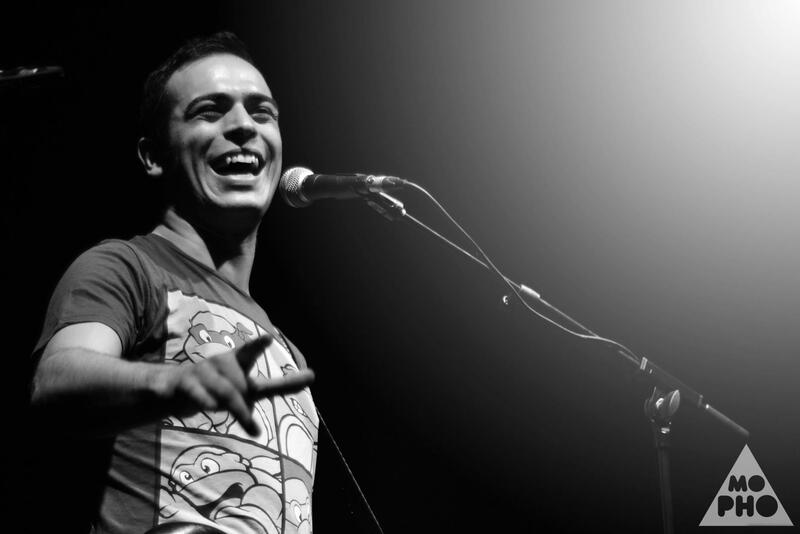 In the same period he is the opening act to Caparezza at Giovinazzo Rock Festival 2012. “Sulla Luna” is released only in February 2013 and so Simone returns to its origins and its international profile by writing new music in English. That same year the lutherie “M2 Guitars” produces the “B5 Simone Vignola Signature Model“. In May 2013 Barley Arts invites him again for the opening of the Italian tour of “Jutty Ranx“, U.S. band with months in the first place in the standings in Italian. In 2014 he signed with “Black Lemon Records“, German label (Augsburg) for which he will release his third album “Life Is A Video Game“, fully written, arranged and produced by Vignola. In this work he plays with his quartet, guest of the album Fabrizio Bosso with a solo trumpet in “Passion vs. Regression”. The first single is “Down and Lonely“, a melodic and exciting pop song that gets good rotation on traditional German radio stations. “Life Is A Video Game” and “Moving Around Myself” are the next single extracts, whose remixes enter the “German DJ Chart 2014″. In April, the important German channel “BassTheWorld” exclusively releases a live video of “Love Song”, an innovative Loop-Session created by Simone himself along with the Italian drummer Corrado d’Amato. The same year, Simone became an endorser for Orange Amplification, a legendary British amplification brand, featuring in the official catalog, fairs and websites. In 2015, he publishes “Somewhere” for Areasonica Records, label from Bologna, an album that is very close to the pop of the 1980′s. Also this album is entirely handled by the artist, from writing to arrangement, from performance to mix. The three single extracts, “You Already Know“, “The Time Flows” and “I’ll Be Yours Forever” get a heavy rotation in the independent Italian radio circuit. “The Time Flows” video is presented live with the solo-show “Bass & Live-Looping” at #NuovoMEI 2015 on November 2nd in Faenza. “The Time Flows” stays in the Top 100 of the Indie Music Like, an independent Italian music chart, for the months of November, December and January. In addition to the excellent feedback from the Italian press (Rockit, ExitWell, Libero.it and many others) with this work Vignola consolidates around the attention of foreign media by getting numerous interviews (Aldea Musical Radio, WickedBand, Fake Music Magazine and many more). In 2016 he publishes “Sul cesso“, an unpublished piece that is broadcast by more than 200 Italian radio stations. On December 23, 2016, he released the single “Mi sento meglio” for Top Records, label from Milan. The track rolls over to major Italian radio stations, including the Radio Lattemiele Italian network. In March 2017 Vignola was selected by MTV as “Just Discovered” Artist of the Week with the video of “Mi sento meglio”, thus becoming part of the showcase of MTV New Generation. Simone Vignola’s fifth album called “Vivere e basta” will be released by Top Records on summer 2017. 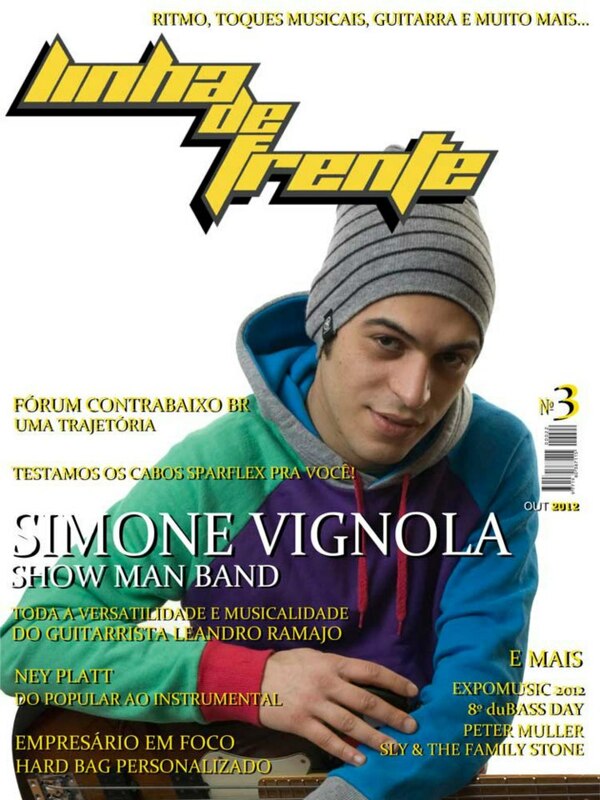 Since 2008, Simone has shared the stage with: Level 42, Jutty Ranx, Caparezza, Richard Bona, Scott Kinsey, Adam Nitti, Bernard Lackner, Grand Baton, Reggie Washington, Shaolin Temple Defender, Scott Henderson, Bobby Vega, Matthew Garrison, Federico Zampaglione, Luca Barbarossa. 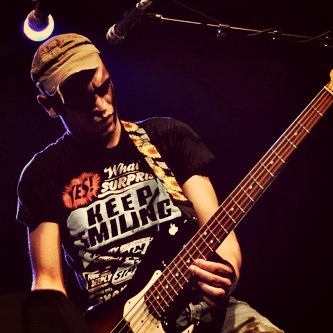 Simone has played throughout the best live-clubs and Music Halls of Italy such as: Alcatraz, Magazzini Generali, Estragon, Atlantico Live, XS Live, New Demodè, Circolo degli Artisti, Locanda Atlandite e altri. 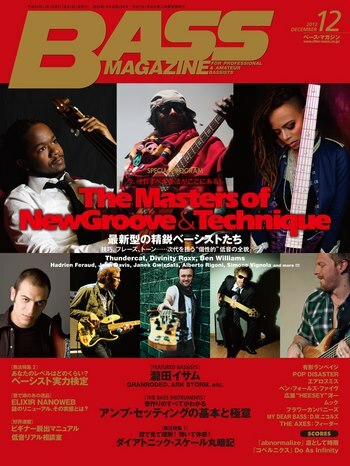 With Going to the next level Simone was interviewed by major trade magazines around the world such as Bass Musician Magazine (USA – 01/2011), Baixo Natural (BRA – 01/2011), Jazz Life (JAP – 04/2011), Bass Magazine (JAP – 05/2011), Linha de Frente (BRA 10/2012).